Christopher's practice focuses on litigation. His primary focus is on assisting policy holders in connection with claims against their insurance company, for failing to adequately compensate the policy holder for damages caused by hail/wind, fire and water damage claims. Christopher assists his client with all aspects of the claim handling process; his primary focus is on ensuring that the insurance carrier conducts itself in accordance with the laws of Colorado and pays what is owed under the policy. Christopher spent the first part of his career working for a number of insurance carriers, and this background makes him uniquely suited to assist the policy holder. Christopher has experience representing a wide variety of clients, from HOAs to banking institutions, product suppliers, manufacturers and construction professionals including architects, engineers, and contractors. 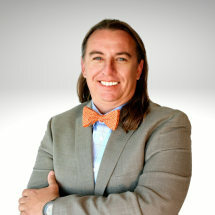 He has successfully handled cases involving personal injury, warranty disputes, contract claims, claims for lost profit or business interruption, issues of insurance coverage, construction defect, professional liability, claims against Directors and Officers and other general litigation matters up to and through jury trial and any subsequent appeals. He is licensed to practice law in both Colorado and Minnesota, including the US District Court for the District of Colorado and Minnesota. Early in his career Christopher practiced law with a particular focus on insurance fraud. He has also represented insurers in no-fault arbitration. With previous insurance industry and litigation experience, he is able to better understand clients' businesses and offer additional insight. In his spare time, Christopher enjoys spending time with his wife and three children, chasing trout and playing golf.